Diane Alaimo is President of Cheval Women's Golf Association, a facilitator/lecturer for Bible Study at her parish, and a member/coordinator of the Wine, Women and Books Club. Derrick L. Blackman is a native Floridian, (Miami, FL). He is a retired U.S. Air Force veteran having served over 21 years of active duty, out of MacDill AFB. He holds a BA in Religion, with a minor in Psychology and an MA in Theology from Saint Leo University. He became a Certified Pharmacy Technician, graduating from Ultimate Medical Academy, FL. In addition to teaching as an Adjunct Instructor at Saint Leo University, he is an Ordained Minister and serves as the Church Administrator for Zoe International Faith Center. He is married and has three children. His hobbies include spending time with his family, drawing, and singing. Fr. Michael Cooper, S.J. is Assistant Professor at Saint Leo University. He took his doctorate in Ignatian Spirituality at the Institut Catholique in Paris, where he had two graduate seminars with Michel de Certeau, S.J., the editor and commentator of the French edition of Peter Faber's Memoriale. His academic interests are in the topics of Ignatian spirituality and discernment, and the sacraments. Previously teaching at Xavier University and at Loyola University Chicago, he first came to Saint Leo University as the Assistant to the President for University Ministry and the Director of the Center for Catholic-Jewish Studies. He developed the Master of Arts in Pastoral Studies, and regularly taught 1-2 courses along with his administrative duties. In 2007, he switched to full-time teaching in the Department of Theology, offering courses in Ignatian Spirituality, Spiritual Direction, Theology and Spirituality of Ministry, Catholic Traditions and Foundations, the History of Christian Spirituality, American Catholicism, and Christology. He enjoys leading pilgrimages to Ireland, Ignatian Spain, the Holy Land, and Rome. "God is the depth of all there is." – Ignatian theologian Karl Rahner, S.J. Alexis is our Graduate Student Advisor for Theology. She is here to assist students with their studies from start to finish and is the main point of contact for registration and academic questions. She has been with Saint Leo University for nearly three years since she began assisting Undergraduate student-athletes on campus and online students from Saint Leo Worldwide. Dr. Cross is Assistant Professor of Theology at Saint Leo University. A native of New Jersey, he entered the teaching profession in 1990 and has been a full-time faculty member at Saint Leo University since 2010. He studies, teaches, and publishes on theology because he believes that the truth and holiness found in world religions are necessary for the fulfillment of each human person and community. His primary research interest is the relationship between morality and rituals, beginning with his doctoral dissertation on the Revised Roman Catholic Rite of Penance, and continuing within two peer reviewed publications by Orbis Books. His dissertation includes his original proposal of a sacramental response to the relatively new aspect of social ethics known as social sin. Leisure activities include healthy cooking, sports, and film viewing with family and friends. Dr. Eugene J. Fisher is Distinguished Professor of Catholic-Jewish Studies at Saint Leo University. He has worked tirelessly for the reconciliation between Catholics and Jews. Ahead of his time, he affected change, directing Catholic-Jewish relations for the U. S. Conference of Catholic Bishops beginning in 1977 and as author of numerous works in the field. He has been a Consultor to the Holy See and a member of the International Catholic-Jewish Liaison Committee. Twice nominated for the Nobel Peace Prize, notably by professors of Hebrew University, he has been awarded the Anti-Defamation League’s Dr. Joseph L. Lichten Award in Catholic-Jewish Relations and the Cardinal Joseph Bernardin Award for his work in building bridges across the divisions between the two faiths. In his collaboration with Pope John Paul II, Dr. Fisher drafted the Pope’s 1987 speech to American Jewish leaders which pledged to join the Jewish people in their cry of “never again” regarding the Holocaust. Dr. Fisher is an active member of learned and professional societies, such as the Catholic Biblical Association, the National Association of Professors of Hebrew, and the Society of Biblical Literature (SBL). He has lectured widely throughout the United States, Canada, Europe, Latin America and Australia. He has published over twenty-five books and monographs, and some 300 articles in major religious journals, many of which have been translated into French, Spanish, Italian, Portuguese, Polish and German for publication in Latin America and Europe. She loves to travel, read, and spend time with her family, especially her 3 grandchildren who keep her busy with baseball and fishing. 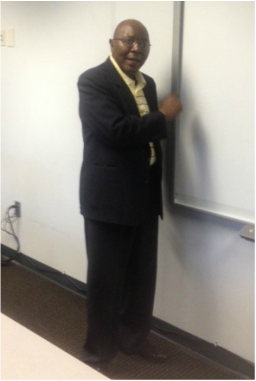 Francis K. Githieya is an Assistant Professor of Theology and Religion at Saint Leo University since 1999. Prior to joining the Department of Philosophy, Religion, and Theology, Githieya served as a full time Academic Advisor at the Saint Leo University Division of Continuing Education, Atlanta Center (1992-1998). He was also Adjunct Professor of World Religions and Christian Social Ethics at the University of Saint Francis (Joliet, Illinois) (1993-1997). Between 2008 and 2012, Githieya combined teaching with administrative duties at Saint Leo University, when he simultaneously served as a Full time Faculty and Assistant Director at the SLU Atlanta Continuing Education Center. He currently teaches graduate and undergraduate Courses at the three SLU Metro Atlanta Centers (Marietta, Gwinnett, and Morrow). He is the author of The Freedom of the Spirit: African Indigenous Churches in Kenya (Oxford University Press, 1999), in which he explores the ecclesiology of the African Greek Orthodox Church and the African Spirit Churches. He is also the author of several articles, among them is, “A New Vision of the Church: The Challenge of the African Independent Churches” in Henry Wilson and Nyambura Njoroge (eds.) New Wine: The Challenge of the Emerging Ecclesiologies to Church Renewal, Geneva, WARC, 1994. Pp. 112 -134, and “The Church of the Holy Spirit: Biblical Beliefs and Practices of the Arathi of Kenya, 1926-1950,” in Thomas Spear and Isaria N. Kimambo (eds.) East African Expressions of Christianity. James Currey Publishers. Athens, Ohio,1999, pages 231-243. He is also currently working on a paper on the “Small Christian Communities in the Catholic Diocese of Nyahururu, Kenya,” in which he examines the metaphor of “Mwaki” (Fire) as a new igniting expression of the Church. Dr. THomas L. Humphries, JR.
Dr. Thomas L. Humphries is Assistant Professor of Theology at Saint Leo University and Assistant Director of the Saint Leo University Honors Program. An Arkansas native, he grew up camping in the Natural State and was the first member of his immediate family to go to college. He was fortunate to study in Tennessee, Washington, DC, and Georgia in the US, and internationally in Spain, France, and England. He married his wife Christine at the Cathedral of Christ the King in Atlanta, GA, and they live near Saint Leo, FL. He is a specialist in the theology of Augustine of Hippo and of Christianity in late antiquity, with broad interests in Patristics, Theological Anthropology, Pneumatology, and Asceticism. His recent book, Ascetic Pneumatology from John Cassian to Gregory the Great, is published with Oxford University Press. He has contributed "Augustine and the West to 650 AD" to The Oxford Handbook of Sacramental Theology, and "Prosper's Pneumatology: The Development of an Augustinian" in Grace for Grace: The Debates after Augustine and Pelagius, from Catholic University of America Press. 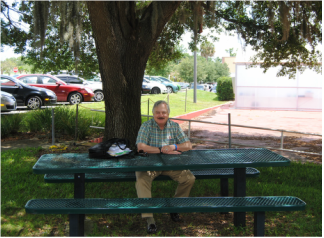 Dr. Humphries volunteers with Pasco County as a volunteer fireman, and plays rhythm guitar for the faculty-student band. Robert Imperato is Professor of Religion at Saint Leo University where he has previously served as Dean of Arts and Sciences. His research interests lie in the fields of the New Testament, historical Jesus research, the history of Christian spirituality, and the history of Christianity. His interest in religion was sparked by practice of yoga while he was completing a masters degree in developmental psychology at Columbia University. This interest in mysticism led to 7 years as non-professed monk at the Abbey of Gethsemani. He left to study theology at Fordham University where he received the degrees of M.A. and Ph.D. He has taught at colleges in Kansas, California and New Jersey. He has had a number of articles published and four books: Merton and Walsh on the Person (Wipf and Stock, 2014), Portraits of Jesus: A Reading Guide ( University Press of America, 2008), Early and Medieval Christian Spirituality (University Press of America, 2003), and Christian Footings (University Press of America, 2000, revised edition 2009). He is an enthusiastic participant in what he wants to call "geriatric tennis." Timothy Jussaume is Assistant Professor of Philosophy at Saint Leo University. He holds degrees in philosophy from Villanova and Holy Cross. He has broad interests across the history of philosophy with emphasis on 19th- and 20th-century European thought. In particular, his work explores existential and phenomenological approaches to ethics, metaphysics, and philosophy of religion. He has written on Heidegger, Levinas, Kierkegaard, Merleau-Ponty, and Wittgenstein. 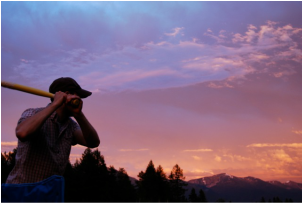 In his free time, Tim enjoys hiking, cycling, fishing, and spending time with his family. Lily is in the second year of her doctoral program at USF. She studies the history of medieval philosophy, and the philosophy of religion. Her particular interests include exploring the relationship between the will and the intellect, ontology of sin, and Christian soteriology. Lily was born and raised in St. Petersburg Florida, where she attended St. Pete Catholic High. Her mother is one of 12 children, making her one of 40 first cousins. In her free time she enjoys being on the beach, watching Rays baseball, spending time with family, playing guitar, and being a snob about craft beer. Dr. Daniel T. Lloyd is Assistant Professor of Theology at Saint Leo University. Dr. Lloyd earned his MTS from Weston Jesuit School of Theology and his PhD from Marquette University. A Northeasterner by upbringing, Dan and his family live in the Charleston SC area, where he teaches at Saint Leo University's North Charleston Center. His field of study is early Church history and theology. He is particularly interested in the Western Latin tradition up to the fifth century. Areas of research include Christology, Trinitarian theology, and the intersection between Greco-Roman philosophy and Christianity. Through his teaching for Saint Leo, he has also had the great fortune of engaging more contemporary theological issues. Most notably, one of his favorite topics to study and teach is the reestablishment of the permanent diaconate in the Catholic Church. Dr. Martocchio is the Director of Catechesis and Christian Initiation for the Diocese of Charleston, South Carolina. He has worked as a parish Director of Religious Education, Youth Minister, Pastoral Associate, and Music Director. He has also taught courses in Theology at Duquesne University as well as for Saint Leo University. 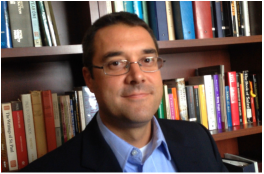 His research interests include the theology of Spanish priest Raimon Pannikar, ecclesiology, and soteriology. Paul's interests are in the Gospels, with emphasis on Matthew, Paul, and covenant. The Matthean research focuses on the contextual background of covenant, Christology, and kingdom within the fulfillment ideal. All three areas focus on the Jewish heritage of Christianity and the impact on the Christian life. places to visit are England/Scotland and Hawaii. His favorite personal pastime is talking theology and scripture with anyone. His favorite food has yet to be found but chicken in any form is currently at the top of the list. Dr. Michael Anthony Novak is Assistant Professor of Theology at Saint Leo University. He holds degrees in Theology from Marquette University and the University of Notre Dame, and an undergraduate degree in History from Northern Illinois University. A native of the beautiful Rock River Valley town of Oregon, Illinois, he was a high school Theology teacher at Saint Joseph's High School in South Bend, Indiana before continuing on for doctoral studies. Prior to coming to Saint Leo University, he served from 2010-12 as Visiting Assistant Professor of Catholic Theology at Loyola University New Orleans. He was the Interim Director of the Center for Catholic-Jewish Studies at Saint Leo University in the 2014-15 school year. He teaches classes in systematic theology and in scripture, as well as broader, "Great Books" material for Saint Leo's Honors Program. His wide-ranging interests span Trinitarian Theology, Ecclesiology, Grace, Christian origins, and the whole of Christian history. His book project, Reclaiming the Church as Gift: Francis A. Sullivan, SJ, the Second Vatican Council, and an Ecclesiology of Charisms, deals with an underdeveloped aspect of the Second Vatican Council's theology of the Church. Recent articles look at such diverse topics as early Christian song lyrics in the New Testament and the Odes of Solomon, Salvador Dali's painting The Sacrament of the Last Supper, and the role of the laity in the Church. He is an avid reader, arts enthusiast, a very occasional singer/songwriter, and a wildly doting uncle. Favorite novels include The Lord of the Rings, Brideshead Revisited, The Wheel of Time, Perelandra, and Silence. Favorite films include the Before Sunrise trilogy, Never Cry Wolf, A Man For All Seasons, and The Man Without A Face. 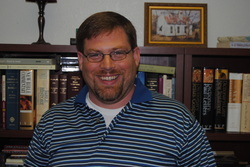 Dr. Stephen Okey is Assistant Professor of Theology at Saint Leo University. He grew up in central Indiana, and then attended Georgetown University for his undergraduate education before heading off to Divinity School at the University of Chicago. While there, he developed his love for architecture and improv comedy. Following his graduation, he took a position as an Actuarial Analyst with Aon Re Services, running computer models of natural disasters. He later returned to graduate work in theology, completing a Ph.D. in Systematic Theology at Boston College, writing a dissertation on the theological anthropology of David Tracy. He joined the faculty of Saint Leo University in 2013, where he teaches both undergraduate and graduate courses in systematic theology and theological ethics. He is a systematic theologian interested in questions of theological anthropology, method, and theology and culture. His research interests focus on the intersection of theology and media technology, the history of Catholic teaching on social communications, and the ethics of war and peace. When he is not working, Dr. Okey enjoys cooking. He is an avid hiker, captain of his trivia team, and an occasional karaoke champ. Although a recent transplant to Florida, he maintains his strong devotion to the Indianapolis Colts and the Indiana Pacers. He is a regular contributor to the Catholic theology blog Daily Theology. Eileen Poynor has two degrees in Theology, from Saint Leo University and from Franciscan University of Steubenville, where she also minored in Philosophy. She was born in Bogota, South America, to an Irish father and Mexican mother. At three months she was baptized in La Florida, Mexico and relocated to northern VA where she graduated from Seton High School. ​She is deeply passionate about people and her faith; among her academic interests are spiritual, moral and biblical studies. Teaching Theology at this time combines two great loves for her, second to her family and Jesus Himself. Thomas' background is in systematic theology. He manages the graduate program and teaches. He has degrees from Belmont University (BA), Franciscan University (MA), Cranmer House Theological Seminary (MDiv). He is a doctoral student at the Catholic University of America. Dr. Marc Pugliese is Assistant Professor at Saint Leo University. He was born and raised in the Philadelphia area. After attending college, he went on for graduate work in theology and religion. Prior to joining Saint Leo University, Dr. Pugliese was Chair of the Department of Theology at Brescia University, a Catholic Liberal Arts university in western Kentucky. 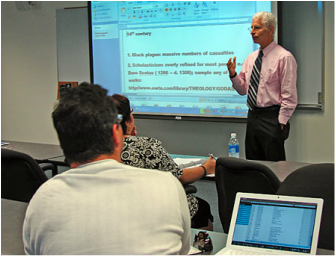 In addition to teaching Saint Leo University Master's courses for diaconate and lay ecclesial ministry formation in the Diocese of Richmond, Dr. Pugliese is engaged in adult religious education in the Greater Richmond and Virginia Peninsula areas. He currently resides with his wife, Laura, and two sons, Dominic and Gabriel, in Midlothian, Virginia. Dr. Pugliese's research interests include philosophical theology, fundamental theology, the doctrine of God and the Trinity, interdisciplinary research (e.g., ethics and economics), interreligious dialogue, and intra-Christian ecumenical dialogue. 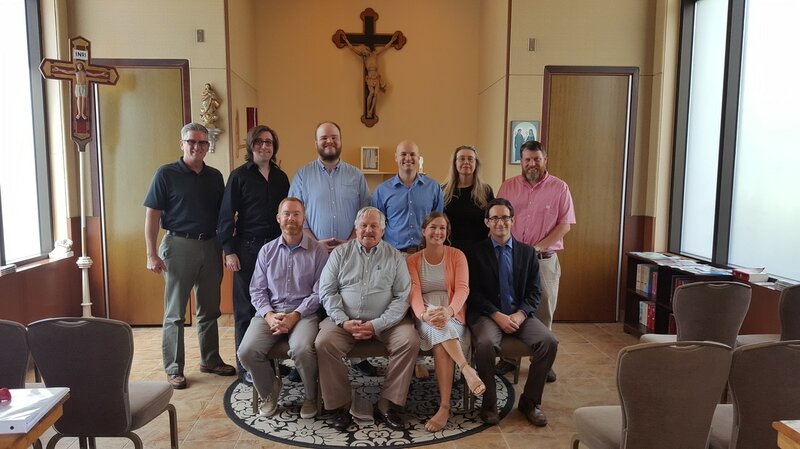 Marc is also a fellow in Cohort III of the Luce Summer Seminar on Theologies of Religious Pluralism and Comparative Theology with the American Academy of Religion. Dr. Pugliese's published works include: The One, the Many and the Trinity: Joseph A. Bracken and the Challenge of Process Metaphysics. Co-edited with Gloria L. Schaab, SSJ, Seeking Common Ground: Evaluation and Critique of Joseph Bracken's Comprehensive Worldview. With Rohnn B. Sanderson, Beyond Naïveté: Ethics, Economics and Values (University Press of America, 2012). Andy Ross retired as a Captain from the Hillsborough County Sheriff’s Office in Tampa and as the Deputy Chief of Police at Tampa International Airport. He holds a BA in Criminology from Saint Leo College and an MA in Theology from Saint Leo University. He is also a graduate of the Southern Police Institute at the University of Louisville, where he studied Justice Administration. ​Besides teaching New Testament courses at Saint Leo, he serves on the City Council for the City of Temple Terrace and owns a security consulting firm. He is the coordinator for the Rite of Christian Initiation (RCIA) at his parish and is involved in several ministries. His hobbies include fitness, shooting sporting clays and anything outdoors. The Rev. Dr. Ian Rottenberg is the Teaching Pastor of Garden City Community Church, just east of Queens, and is the Director of the Center for Churches as Learning Communities. He served as Assistant Professor of Philosophy at Saint Leo University from 2012-14. He is a fan of sports and culture who has degrees from Haverford College (BA), Yale Divinity School (MAR), and Fordham University (MA, PhD). His research interests include Philosophy of Religion, Aesthetics, Hermeneutics, Environmental Ethics, and Philosophy of Literature. He loves teaching and uses any media available to help explain big and important ideas. In sports, you can find him cheering for the New York Mets and the New York Giants. For music, he is a fan of Mumford and Sons, The Avett Brothers, and the Kings of Leon. Rabbi A. James Rudin has been the Distinguished Visiting Professor of Religion and Judaica at Saint Leo University since 2002. He holds three honorary doctorates. As Director of Interreligious Affairs for the American Jewish Committee, he co-founded the Center for Catholic-Jewish Studies at Saint Leo University. Ordained a Rabbi in 1960, he served two congregations and as an Air Force chaplain before joining the staff of the American Jewish Committee in Interreligious Affairs in 1968, becoming the Director of Interreligious Affairs in 1983. Since retiring from that post in 2000 after 32 years of service, he has continued to serve as the AJC's Senior Interreligious Advisor. ﻿Dr. Tapie is Assistant Professor of Theology and Director of the Center for Catholic-Jewish Studies. His primary teaching and research interests are in comparative theology and moral theology. After earning graduate degrees from Abilene Christian University (M.Div.) and Baylor University (M.A. Religion, Politics, & Society), he completed his Ph.D. in Moral Theology & Ethics in 2012 (awarded with distinction) in the School of Theology and Religious Studies (STRS) at The Catholic University of America. From 2012-2014 Dr. Tapie was a Visiting Assistant Professor of Theology in the STRS and was appointed a research fellow at CUA's Institute for Interreligious Study and Dialogue. Dr. Tapie is the author of Aquinas on Israel and the Church (Pickwick/Wipf & Stock, 2014). He has published peer-reviewed journal articles in the Journal of Moral Theology, Jaarboek (the Journal of the Aquinas Institute of Utrecht, the Netherlands) and Restoration Quarterly. He is currently editing a collected volume of essays on the relevance of the theological reading of scripture for contemporary political theology. The book is entitled, Reading Scripture as a Political Act: Essays on the Theopolitical Interpretation of the Bible (forthcoming Fortress Press, 2015). Dr. Tapie is a member of the American Academy of Religion, the Society of Christian Ethics, the Council of Centers on Jewish-Christian Relations, The Catholic Theological Society of America, and the Society of Scriptural Reasoning. Linda S. Taggart has two B.A. degrees—English from University of South Florida (USF), and Creative Writing from University of Tampa—and a M.A. degree in Religious Studies from USF with a specialization in Hebrew Bible. Her research interests focus on Interreligious Education and Dialogue, and the study of women in scripture in Judaism, Christianity, and Islam. In 2012-2013, Linda completed a year of Russell Berrie Fellowship studies in Rome at the Pontifical University of St. Thomas Aquinas receiving a graduate certificate in Interreligious Studies. Linda is an adjunct professor at Saint Leo University teaching classes in Old Testament/Hebrew Scriptures, and World Religions. She has taught in the Diaconate Formation Program of the Diocese of St. Petersburg, and she lectures in parish, congregational, and community settings. Linda is a member of the Society of Biblical Literature, the American Academy of Religion, and an associate member of the Catholic Biblical Association. 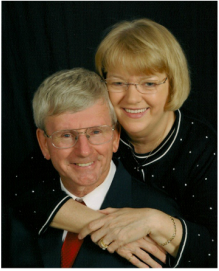 Living in Tampa since 1956, Linda is a member of St. Lawrence Catholic Church, and widow of beloved husband of 25 years, James K. Taggart (1937-2011). Michael J. Tkacik, Ph.D. is Secretary for Ministries for the Diocese of St. Petersburg and Associate Professor of Theology at Saint Leo University. In his work for the Diocese, Dr. Tkacik serves as a liaison between the Bishop and the Diocesan offices of: schools; communications; catechesis; evangelization and life-long faith formation; as well as life, marriage, family, youth, multi-cultural, and prison ministries; ecumenical and inter-religious affairs; and various other Diocesan apostolates. 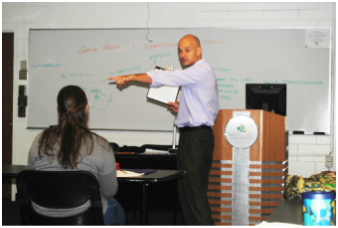 Dr. Tkacik’s teaching responsibilities at Saint Leo span a wide range of courses within the graduate, undergraduate, diocesan diaconal cohorts and online programs. Dr. Tkacik has held a number of administrative positions, has served on numerous diocesan committees, and has been a regular presenter at the College Theology Society and at various parishes. He has also taught at Providence College in Rhode Island, and has served as a visiting lecturer at a number of Colleges/Universities. He is the author of Pneumatic Correctives: What is the Spirit Saying to the Church of the Twenty-first Century? with Thomas C. McGonigle, and Forming Deacons: Ministers of Soul and Leaven with William T. Ditewig. Dr. Tkacik also has great love for dogs, brewed iced tea, the Pittsburgh Steelers, the Auburn Tigers, music, tennis, and his truck. Dr. Susan Van Baalen, O.P. Sister Susan Van Baalen, OP, joined the Saint Leo faculty as an adjunct in January 2015. Sister Van Baalen is, first and foremost, a Dominican Sister from Adrian, Michigan. She holds postgraduate degrees from De Paul University, the Jesuit School of Theology in Chicago, and a postgraduate certificate in Public Policy from the University of Southern California. Her interdisciplinary doctorate, with a concentration on philosophy and theology, is from Georgetown University in Washington DC. Sister Van Baalen’s ministry has included teaching at all levels of formal education from first grade through graduate school. In addition to formal education, Susan was a prison chaplain and Chaplain Director in the Federal Bureau of Prisons for twenty-eight years. Her prison experience informs her knowledge and understanding of world religions. During her tenure as Chaplain Director she was responsible for the development of policies and procedures to protect the religious beliefs and practices of more than 200,000 inmates in 110 prisons. The inmate population included adherents from more than twenty distinct religious traditions. Sister Van Baalen believes that the opportunity to share her understanding of world religions and to engender tolerance of religious and cultural differences is a small but important contribution to world peace. Dr. Astrid Vicas is Associate Professor of Philosophy at Saint Leo University. She teaches ethics of all kinds, general and professional, and the history of philosophy. She is interested in interdisciplinary studies and global studies. She enjoys exploring topics at the intersection of disciplines and that bridge different cultures. She extracts philosophical concepts and themes in materials from different disciplines and different time periods and cultures. "The point is to think in different ways about general questions, such as: What is it to act? What is narrative? That’s my hobby." Hannah Woldum Ragusa holds B.A. degrees in Philosophy, English, and Medieval Studies from St. Olaf College, a M.A. in Catholic Studies from the University of St. Thomas, and M.A. degrees in Philosophy and Theology from the Dominican School of Philosophy and Theology. Her primary interests include aesthetics, the relationship between faith and reason, medieval philosophy and theology, and classical metaphysics. She enjoys traveling, writing, reading, drawing, painting, music, and the outdoors. Woody grew up in Winnipeg, Manitoba and attended Notre Dame High School in Wilcox, Saskatchewan where he dreamed of playing in the CFL and not being so cold all of the time. Although, lack of skill derailed his football dreams he now lives in Florida where he sweats most of the year. "The Spirit the Lord has given us is no cowardly Spirit, rather one that makes us strong, loving and wise." 2 Tim 1:7. Dr. Anderson retired in 2013 as Professor of Religion and Philosophy. He has published in the areas of comparative religion and philosophy, religion and culture, and higher education. More recent work looked at the impact of social science on philosophy and religious studies, and the changing conception of the university in a market-driven economy. Dr. Kissel retired in 2013 as Chair and Associate Professor of Theology and Religion. A native of Evansville, Indiana, he was ordained to the priesthood for the Diocese of Evansville in 1973. 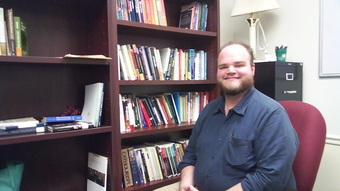 He taught high school and served in ministry at Mater Dei High School in Evansville, as well as serving in campus ministry at the University of Evansville and the University of Southern Indiana before he undertook his doctoral work in Belgium, where his dissertation research was entitled The Euthanasia Debate in the United States: Christian Narrative Reflections. 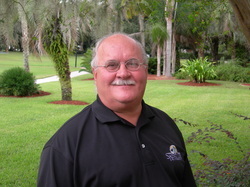 Previously having taught at the University of Southern Indiana, Dr. Kissel came to Saint Leo in 1996. His research interests are in the area of moral theology, with a focus on health care.